Very inspiring installations with many different materials. 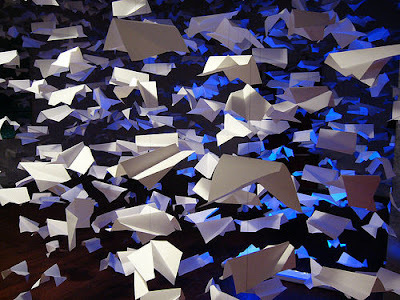 Here above you see an installation with the use of paper and colored lighting to give a special effect. Check more of his work on his Flickr page.